Daufuskie Island is a sea island located off the South Carolina coast, approximately one nautical mile west of Hilton Head Island’s Harbour Town. In addition to the Atlantic Ocean, Daufuskie Island is bordered by the Cooper River and the Calibogue Sound. 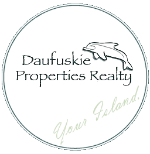 Over four hundred full time residents call Daufuskie Island home, while many others own second homes or vacation homes on the island, which is about five miles in length and two & one half miles wide. Daufuskie Island enjoys a rich history that dates back to before the Revolutionary War. During the Yemassee War, fought between 1715-1717, the island was the site of the famous battle, “the Daufuskie Fight.” Until recent years, the island has been home to a significant population of native Gullah and Geechee inhabitants, descendants of freed slaves who settled on the island after the Civil War. Pat Conroy recounted his teaching experiences on the island (fictionalized as Yamacraw Island) in his 1972 work, The Water is Wide. Daufuskie Island is now divided into five sections, geographically. In the northeast section is the Haig Point Club. Haig Point is a private, member-owned community with more than 225 residences and about 150 permanent residents. Amenities at Haig Point include a Rees Jones championship golf course, access via a private Ferry fleet, a tennis club complex, an equestrian center, casual and fine dining, and a beach club. South of Haig Point is the Melrose Community. This resort area was previously a private vacation club well-known for tennis and golf. The resort is now open to the public. On the southeastern side of the island lies Oakridge, an oceanfront residential community, and Bloody Point. Oakridge is comprised of several oceanfront homes as well as a number of tracts of land available for custom building. Bloody Point is a private residential community which shares amenities with Melrose. Amenities include a beachfront hotel and cottages, a pool, golf and tennis. The western part of the island is comprised of unincorporated land and private residences. This area is generally referred to as the Historic District and is the home of individuals living in diverse accommodations, everything from turn of the century "Historic Register" cottages to waterfront mansions. Access to Daufuskie is by regular Ferry service, either Haig Point’s private Ferry system available to Haig Point members and guests, or the Daufuskie Island Resort Ferry which is available to resort guests, members of the club, the public, and island residents. There are several water taxis that service the island and which can provide passengers access between Daufuskie Island and Hilton Head Island in as little as 5 minutes. Nearby airports are Hilton Head International and Savannah International. Historic Bloody Point Lighthouse is located on Daufuskie Island South Carolina. Listed on the National Register of Historic Places, this 1883 structure is a piece of cultural history hidden on the southern tip of Daufuskie Island. Yet when you see it, you may not realize you are viewing a lighthouse. The Bloody Point Lighthouse, on the surface, appears like any other home constructed during the 1880’s. Unusual among lighthouses, The Bloody Point Lighthouse featured a range light - a tower to the rear of the lighthouse where a lamp would be run up on rails. By day the lamp was stored in the "lamp room", an 8 by 10 ft. brick building. Along with the rear range light, the keeper would hoist an additional fixed reflector lens up the 91 foot tower to the front dormer window of the lighthouse where it too would burn throughout the night. Mariners would line up the two lights to find safe passage when entering the Savannah River. The Lamp House for the rear range light still stands today and is the only known Lamp House to exist in the United States. Since its time serving as a lighthouse, the home and buildings have seen many owners and served many purposes, perhaps the best known being the famous "Silver Dew Winery". Papy Burn, who served as an assistant lighthouse keeper, purchased the lighthouse and property and transformed the original Lamp House into a winery and used the small building originally used to store the wick and oil, for storing and aging the wine. From lighthouse to winery to golf pro shop, Bloody Point Lighthouse is currently a private residence. As this lighthouse is now private property the best way to view this historical treasure is to take a boat tour along Daufuskie Island. The Community Farm on Daufuskie Island, also called Green Wood Farm, located on Haig Point Road, was founded in 2010 by local resident Pat Beichler, with the hope of making the island less dependent on the ferries to haul in food necessities. Starting out with the construction of a single goat barn and two goats, the farm now has 10 buildings including a goat dairy, a turkey coop, a hog house, and a chicken coop. There are cows, turkeys, chickens, hogs and goats, providing milk, eggs, cheese, and meats, as well as farmed produce. Beichler put up the seed money for the farm from her savings and hundreds of volunteers donated thousands of hours to construct and now maintain the farm. Nothing is sold here on this cooperative sustainable living farm. The almost 100 members of the farm swap or share whatever is ripe, sponsor animals by paying for their upkeep and continue to donate labor and money. Plan a visit to The Green Wood Farm and experience the sense of community found here on Daufuskie Island. Oakridge Plantation on Daufuskie has the best beach in the Southeast. Period. Located between Melrose and Bloody Point communities, Oakridge is 700 acres of prime forest property that extends from the center of Daufuskie to the white sand beaches on the Atlantic. Oakridge is known for its perfect beach and gentle breezes, and a central location provides quick access to golf courses, tennis, equestrian centers, restaurants, and more. Only 54 homesites exist today at Oakridge: 23 oceanfront (all one acre or larger), 11 second row/ocean view, and 25 estate properties, none more than a 5 minute walk to the beach. Beach Field is a separate community within Oakridge with 10 oceanfront patio properties and 80 homesites surrounding a beautiful lake complex. Properties list from $100,000 for lake front homesites in Beach Field, and oceanfront properties at Oakridge list starting at $495,000. Bloody Point is a community at the Southernmost point in South Carolina. From the mile long beach you can look to Savannah, Georgia to the South and Hilton Head Island just across the water to the North. Bloody Point, named after a battle in 1715 in which the British and the Yemassee Indians skirmished on the beach, offers you large homesites, beautiful white sand beach and a wonderful partnership with nature. Bloody Point is indeed a paradise. There are a total of 110 lots which are either on the ocean, the Mungen river, or on the golf course. There are also 32 oceanfront villas in two buildings at the Northern end of Bloody Point. The oceanfront lots at Bloody Point range from 1 1/2 acres to two acres and all others are 1/2 acre in size. There is a beautiful clubhouse, a building that has housed a spa and an oceanfront pool. The golf course is a Tom Weiskopf/Jay Morrish design that will celebrate its 20th anniversary this year. There are currently 20 homes in the community and several owners have expressed a desire to build in the near future. After a period of difficulty as part of the Daufuskie Island Resort Bankruptcy, Bloody Point has been purchased by a long time Daufuskie landowner. We are enthusiastic and optimistic about the new Bloody Point. Current lot pricing ranges from under $100,000 to $1,000,000. Three bedroom oceanfront villas range from $400,000 to $900,000. Members call the Haig Point Club the best private golf community in America for a reason. It is simply the best place to live in the good ole USA. Succinctly stated members have year round access to the three best contiguous golf courses in the world...Harbor Town...Haig Point...Melrose and the most unique island lifestyle found anywhere in the universe! Incredible vistas of salt water marshes coddled by pristine estuaries meandering to the Calibogue Sound form the landscape portraits for some of the most beautiful sunsets and sunrises on the Atlantic Ocean. Haig Point on Daufuskie Island boasts ten thousand year old Native American relics, historic lighthouses and benevolent ghosts all on a 3 by 5 mile sliver of paradise strategically located between the colonial pearl of the South Savannah Georgia and the premier golf and tennis resort island on the east coast Hilton Head Island. As previously stated life is simply better on the little island. Now let us show you why! The Historic District of Daufuskie includes about one half of the entire island on the Intracoastal waterway and Cooper River. The Historic District is not yet developed in the same way as Haig Point, Melrose, Oakridge, or Bloody Point; and most homesites are accessed by county maintained dirt roads lined by spanish moss draped Live Oak trees. The Historic District properties are incredibly serene, some river front lots are over 5 acres in size and include private docks, wells, and utilities. This part of Daufuskie Island is not presently covered under a uniform CCR or construction rules, and provides homeowners with the full latitude to build homes that meet personal styles and preferences. Prices in the Historic District vary widely, and typically are driven by location and view of the rivers and Sound. Property owners in the Historic District access the island by private boat or the Melrose ferry system. One of the original eleven plantations on Daufuskie, Melrose was famous for its Sea Island cotton and thriving social life in the 1800’s. The plantation bears the name of a Scottish rose brought to the island by Captain Mongin. The main house, known as the Melrose Mansion, was surrounded by lavish rose gardens and looked out at the Atlantic Ocean and beautiful white sand beaches. Today, Melrose encompasses over 700 acres and you’ll share those same white sand beaches with nesting Bald Eagles, Loggerhead Turtles and dolphin. Property owners share a unique lifestyle built around the outdoors and lasting friendships. You’ll find a variety of properties available – including building lots, single family residences, Melrose Beach Cottages and Easter Beach Villa condominiums – to match almost any need. Melrose is also home to a resort with amenities that include the Jack Nicklaus Signature Melrose course, a Stan Smith designed tennis center, a complete equestrian center and Island House conference center. While currently undergoing a significant remodeling, the resort also owns the 52-room Melrose Inn. On remote Daufuskie Island, midway between Hilton Head, SC and Savannah, GA, acclaimed folk artist and fishing enthusiast Chase Allen is playing with fire. Combining welding, blacksmithing and self-invented techniques, Chase not only designs, but creates unique metal fish, crab, stingray, and mermaid sculptures that capture the beauty of true island life. His front porch is his gallery. His backyard is his studio. And his hand-forged, hand-signed vintage finished fish, crab, stingray, and mermaid sculptures are true collector's items. Visitors and art collectors will find Chase’s coastal gallery, The Iron Fish Gallery & Studio, formerly known as The Rusted Lava Art Shop, along a secluded historic dirt road in a maritime forest. At this charming Daufuskie Island landmark, visitors can watch the self-taught artist at work and choose their own object d’art to take home. If Chase is gone fishing, payment goes in the "honor box" on the veranda of his historic Gullah cottage. Now available online, Chase’s limited edition, iron fish sculptures make perfect gifts for those with a flair for coastal decorating, fishing enthusiasts, art connoisseurs, corporate commissions—and anyone who needs a reminder to sit back and enjoy the simple life. Cold-forged, torch cut and wire welded with an antique painted finish, these classic iron works of art arrive cleverly packaged like fresh fish purchased at the market. Chase Allen has been featured in several national and regional magazines for his popular coastal decor. To name a few, Coastal Living Magazine, Deep Magazine, Southern Living in 2007 & 2008, Charleston, Charleston Home. Southern Lady, Hilton Head Monthly, CH2, and Gear Technology magazine have all taken notice of Chase's classic fish and aquatic sculptures. This eccentric metal artist is one of the most sought-out and visited members of the Lowcountry and Daufuskie Island artisan community. Melrose Course is as challenging as it is picturesque and is one of the most engaging courses ever designed in the Lowcountry. The back nine of this Jack Nicklaus Signature course provides spectacular play, with the last three holes running along the Atlantic Ocean and an 18th hole that seems to plunge into the sea. This course was carved out of the natural terrain and either water or wetlands front more than half the holes on the course. The Calibouge and the Haig courses here offer twenty-nine holes of scenic seaside golf and are one of the most scenic and challenging courses in the Southeast. Designed by Rees Jones, the layout is quite unique because the club's twenty-nine holes may be played in a variety of eighteen hole combinations. The Osprey, a nine hole course, rounds out the Haig Point golf experience. This scenic golf course, also designed by Rees Jones, is slightly less demanding for mid- to high-handicappers. Osprey also has extra tees to provide more variety. The Old Daufuskie Crab Company features a delicious Gullah/Southern style Low Country Buffet. Items commonly found on the buffet include Fried Chicken, Pulled Pork, Fried Shrimp, and Pork Chops. If that doesn't suit you, grill options are available all day long. These items include Deviled Crab, Steamed or Fried Shrimp, Crab Legs, Flounder, Grilled Chicken Sandwiches, better than average Burgers, and our renowned Chicken Quesadillas. Thick steaks are also available. Free dock space for your boat as you dine at our restaurant! The menu is similar to the tides - it changes daily but we always feature fresh, local seafood that's prepared with a creative flair. Try a bowl of Low Country Gumbo that's filled to the brim with shrimp, kielbasa, fish, and a mix of spicy seasonings. For dinner, you'll find several specialties from our local waters featuring freshly caught fish, shrimp and oysters (by season). The Shrimp-n-Grits is a rich and creamy indulgence that's based on a southern classic recipe. Landlubbers can feast on the grilled specialties of the house that include bone-in pork loin chip with a caramelized praline glaze, cut-to-order ribeye steaks, or tender, fall-off-the-bone barbeque ribs. Located in the Clubhouse at Bloody Point Golf Club. Open from 11am to 9pm, seven days a week, serving lunch and dinner. Specialties include fine pastas, steaks, and seafood. Features nightly specials such as Pizza Night on Mondays.